Because sometimes when you’re in that place where the salt rubs, where the ache is real, where numbness seems like a better option, it’ll get better isn’t what you need to hear. Hang in there isn’t what you need to hear. Sometimes more than you need to hear anything you need to see something real. I sat there on the couch in the quiet, picking at the small, threadbare spot in the blue slipcover. Frayed, I thought. I’m frayed. And a little afraid. It’s not often we let ourselves go into the space where we’re silent and vulnerable with our deepest fears, deepest desires, deepest hurts. It’s even rarer that we put ourselves in that space on purpose. Maybe it’s because we’re afraid to fully see our frayedness. Maybe it’s just plain easier to be distracted. Or maybe it’s because we’re scared that when we finally sit still and put it all out there, God won’t show up. And if we lay it all out, and He doesn’t show up to rush into that space, will our emotions overwhelm us? Discomfort is a feeling we don’t really love. But rawness and rejection are feelings we avoid at pretty much any cost. But she was afraid if she sat still, unbearable emptiness would gnaw at her frayed soul rather than peace rushing in and putting it back together. It’s a valid fear. I don’t know that most of us haven’t felt that way before. Because what if it takes more than once? What if the first time we open our souls to the silence, it feels like salt in our wounds? What if it still does the second time? And the third time? But what if, in order to really know God, that’s what we have to do? What if we have to face ourselves honestly and devote time to tune our hearts to want God more than anything else? What if we have to be willing to keep stepping into that silent space and tell Him we’re ready and willing to lay down the things we want — all of it — if we can get all of Him in return? And that if the cost is a little discomfort, we still want Him. And if the cost is all of ourselves, if it’s anything and everything, we still want Him. As I sat beside my friend this weekend, all I could think to say back was … it’s real. It’s real, and it’s worth it. Sometimes more than you need to hear anything you need to see something. And that something is what real peace from Jesus looks like when it’s smashed across someone’s face, across someone’s life. I remember when I was in that place where silence meant salt-rubbing, the only thing that made me sit still, read the Bible and keep asking God to show me who He really was at any cost was that I saw some people who really loved Jesus … people who wore it a lot differently than I did. I didn’t know how to get it. I didn’t know what it would feel like. But I knew it had to feel different, or they wouldn’t be so different. I knew it had to be real. And that meant I could have it too. I was driving somewhere the other day with another friend and talking about how easy it is for us to distract ourselves and not ever sit still, even when we know doing it is worth it. It’s real, but it’s not easy. It’s free, but it costs everything. It starts in the quiet of our hearts with the whisper of His truth … the silence of our surrender … then the roar of His peace. 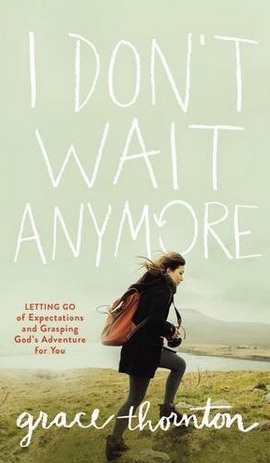 And that’s the story told in “I Don’t Wait Anymore” the book … how the best things are worth our whole lives, and how God is worth so much more than our dreams. After 51 years of repenting for every wrong thought action attitude, praying, worshiping, bible studies, praying for the sick, improving every attitude, thought, word spoken, feeling and action. Quickly overcoming one of the most physically, mentally, emotionally, spiritually abusive childhoods mental health pros had ever encountered and becoming a positive, productive, self supporting, contributing, caring, helping member of society (to the amazement of the mental health professionals, people as severely abused from age zero to adulthood rarely keep from becoming suicides, murderers, druggies/alcoholics, mental institute residences). I took NO drugs, ( Except some prescrip meds that all made more problems for me instead of healing me), NO alcohol, NO smoking etc etc etc. Constantly and consistently building faith by keeping the word of god coming in my ears, eyes, mind and out of my mouth etc etc Watched very little TV because it bothered/offended me when people would use Gods/Jesus name in vain, ridicule them and all the sin etc. Did Thousands of hours of Quiet contemplative prayer and much more. I applied everything I learned through Bible studies and heard preachers teach. If I thought I heard God telling me something to stop or start doing/thinking etc. I changed as fast as I could. Even did the rebuke, cast out evil spirits spiritual warfare approach. Ate very healthy, exercised, stress reducing actions, self care and self help therapy, best doctors dentists hygiene lifestyle etc on the planet. Another words I did all possible instead of just sitting back expecting God to do it all and fix everything. Finally I have come to the conclusion God does not exist or if he does he refuses to help! During the 40 years, physical problem after physical problem just kept on coming at me. And every problem is chronic and permanently damaging. No doctor, medicine, regime, effort, faith, prayer, love etc. stopped, reversed, prevented, undid even one problem. God ignores people and does not care that we suffer. I spent 2 decades with unquestioning, undoubting, no matter what happens, I had faith. Period. Still received absolutely zero relief and help from God. He fixes, stops, prevents and reverses absolutely nothing. I never could understand why a Heavenly Loving Father NEVER loved ME. Don t say it is my attitude. I had multiple decades of good attitude through it all. Although it did finally deeply wound and hurt me as much or more then what my parents did to me. Millions of ignored prayers as you suffer deeply and do all you can (my friend said “I do everything right”) wounds and hurts people until they just give up. And yes there was a long period of time where I stopped trying and just turned it over to God and relaxed and got out of his way and quit trying to help him so much… just let Him do it for me with me doing nothing but being in Peace and faithfully waiting on God. I got nothing. Hi, Monica – thank you for your note. First, I just would like to say how deeply sorry I am that you’ve had to walk such a tough and painful road. I can’t imagine how difficult it must be to have walked through abuse and the chronic health problems that you mentioned. My heart breaks for you. I know it may be hard to believe, but I can promise you He loves you and does care that you suffer. Our world is so broken by sin, it can be so hard to lift our eyes and see what Love really looks like … we think sometimes that if God’s love really existed, it would swoop into our broken earthly lives and fix everything here. Sometimes, especially when things are hard and painful, life here can feel so big, so long and like it’s all there ever is and ever will be. But what God’s love says to us – and has always said – is that the life that’s still to come is our real life. Any suffering here only “lasts for a night” in light of eternity, and joy comes in the morning – once we are there face to face with Him. We can’t earn earthly healing by doing everything right … instead, what we do is press into a God who loves us infinitely and promises that any suffering we walk through here is purposeful for the life to come (2 Corinthians 4-5). While we wait for that, the Bible says we groan inside wanting to put off the bodies we have here and be with Him in perfection, the way we were created to be. We weren’t created to suffer, but sin broke that. And Christ – suffering on our behalf – bought us a future with no suffering where everything is set right. Our world here is broken – and if we lean into Him, He gives us what we need each day to press on. My heart breaks for you, but He never promised healing here in this life. What He promises is that one day, if we trust Him, we will live with Him forever in a place where He personally will wipe our tears away. That’s the ultimate love – the one who takes our suffering here in this sin-broken place and turns it into an eternity with God, the one who loves us and keeps track of every tear that we cry here and one day gives us perfect healing. I’m glad you wrote. I’d love to keep talking to you about this if you’d like. 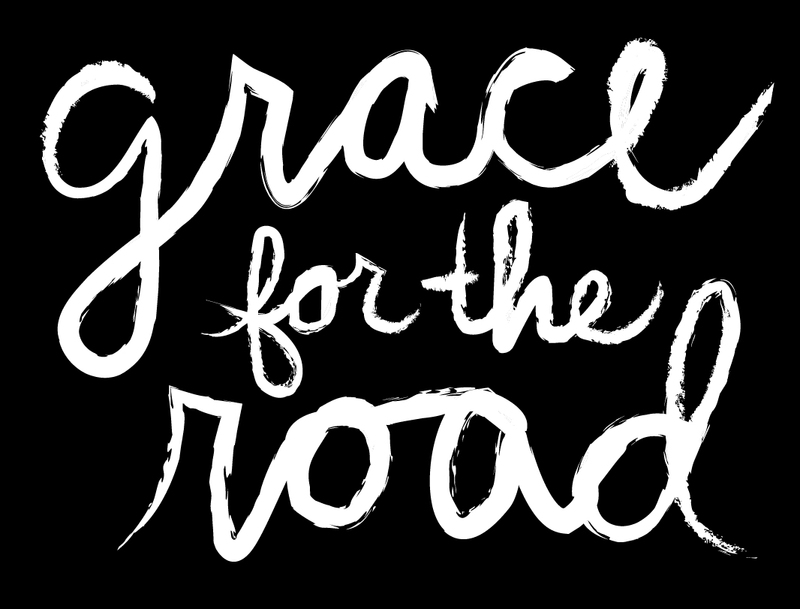 Feel free to email me at grace@gracefortheroad.com. I’m wondering if I’ve just grown tired of waiting…or if I’m too depressed and/or discouraged..or am I just sinfully lazy at this point. Been waiting for a long long long time. I have studied, prayed, worshipped, soaked, been prayed for, gone to “healing” sessions and retreats, for over 30 years. What’s a girl…older woman now, gotta do? Suffering. If ine more person teel me about Joni, I’ll puke! I think she probably has people around that assist her with her daily needs and chores, right? Maybe that helps a bit, whenyou havean “obvious” disability. Chronic invisable disabilities don’t generally draw helpers..it is tough.I used to be more faith filled..I’ve been slowly beaten downbylife and pain and lost hope. Hi, Ruth – thanks for your honesty. I’m going to send you an email in just a few minutes, if that’s OK. I really appreciate you writing! Grace I just want to say how much of a blessing you are. I got to know your blog while searching for the poem you wrote of the same title. And since that time I have seen over and over again how your honesty has inspired me in my walk with the Lord. I’ve learned to struggle the right way, to be challenged the right way. To know that to be human means going through these fleshly emotions. It’s how we respond, how we deal with the struggle that makes all the difference. You’ve taught me that Christianity is not about showing the world that we’ve got it all under control and pretend. It doesn’t mean we beat ourselves up for feeling weak. What it does mean is a dependency on Jesus that compares to none. That He would be our first turn leaving and baring all before Him. To really know what it means in His word when He said my yoke is easy and my burden is light. Grace, when I pre-ordered your book, I was at a high point in my life in my first relationship. When I finally got your book in May, I was at my lowest, my relationship turning into an idol in my heart. God knew my friend. He sees our days ahead and He is always on time. I have never met you although that would be a great thing to but I’ve never felt His love more than now… God knew I needed to hear your story. All your struggles, challenges, the pain you felt through the many events that occurred in your life. They are sending a ripple effect across the nations. They are all for a time such as now. God never promised a pain free life. He has only promised Himself for us. That is the theme of what I am learning to speak into my life. I am a child of God and this God loves me. I am pressed to know Him more. I really love how Paul puts it. “For I am determined to know nothing among you except Jesus Christ and Him crucified.” Thank you for pointing us back to the gospel. Richest blessings dear sister 😊 May you have a deeper revelation of who Christ is.